The bane of many a filmmaker’s life comes in the form of the eternal hunt for funding to augment the budgets of the personal projects they’ve long been dying to make, but what you may not have stopped to consider are the hoops it’s sometimes necessary to jump through to qualify for that all empowering funding schemes pot of cash. With their informal mutual assistance coalescing into a fully blown partnership, Jens Blank and Anna Benner wracked their brains for the perfect story to animate their way into a Jewish film fund, only to find that the solution was writing itself all along. 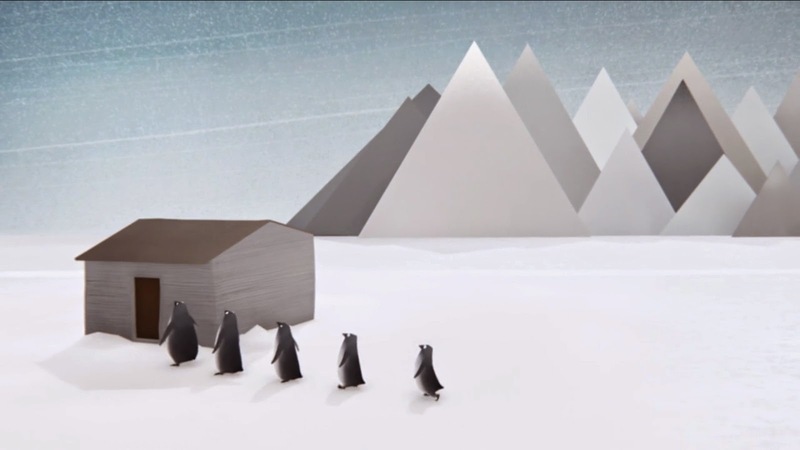 We invited Jens & Anna to tells us how they navigated their way through the potential minefield of Jewish politics to a film which elucidates the early creative process…and stars penguins too. The film’s story is actually based on the conversation we had in real life, when we decided to try and make this film. We were both itching to make some new personal work and had come across this short film fund run by the Jewish film festival. We tried to come up with a cute funny story about animals that was somehow “Jewish” (the requirement for this fund). We kept circling back to talk about the Israel Palestine conflict, but felt that we both didn’t really know enough about it, and wanted to make sure that we were treating the subject with enough respect. So the idea of the cute animals went out of the window, and we were ready to give up until we realised that the conversation we just had might be funny in itself and a way to make something lighthearted, but considerate – and with penguins. This film was also our first big collaboration (although we’ve worked alongside each other for years, helping each other out, etc. ); and since we have joined forces as “Jens & Anna” directing more shorts such as Tis the Season and commercials like Kynect together.